How Jesus Holds Us Accountable for Bible Prophecy! 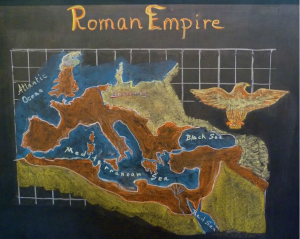 Background on the Roman World at the Time of Jesus At the time Jesus began His ministry on earth, only the Jews were looking for a future Messiah. Only the Jews had written prophecies from God foretelling of a time that their Messiah would come and rule the world in righteousness. But Israel’s redeemer had yet to come, and the cruel Roman rule was detested by all of Israel as they waited for their Messiah. This partnership kept the Jewish hierarchy in power and prestige. But even though Israel managed to have some autonomy, Rome still had ultimate rule…and it was a vicious rule. 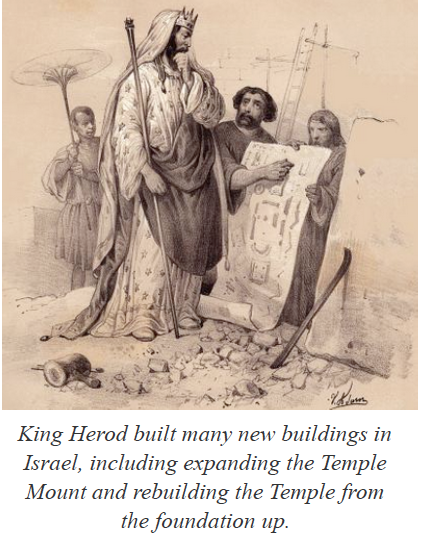 The glory of the pro-Israel days of King Herod the Great, who died in 4 BC, was fading fast. After Herod’s death, his son Archelaus ruled over Jerusalem, Jaffa and Caesarea for nine years, 4 BC to 6 AD. He acted like a pompous king wearing all white and sitting on a golden throne. With the tax receipts from Jerusalem to Rome dropping and his inability to keep peace and rule effectively, Archelaus was eventually replaced by an appointed Prefect by Roman government. Pontius Pilate, who was ruling at the time of Jesus’ ministry, was the third in a series of these appointed Prefects to exercise an iron-clad rule over the Jews in Jerusalem. However, not all the Jews were willing to wait for the Messiah. Between 20 AD and Jesus’ death in 33 AD, there were some 60 Jewish insurrections put down by Rome. 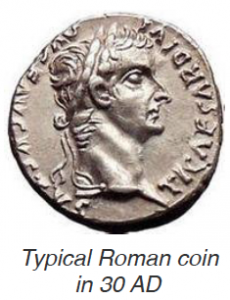 The biggest rip-your-robe and throw-dirt-in-the-air of the Roman rules was that they made the Jews use Roman coins-forbidding Israel from minting and using its time-honored shekel. And adding to the Jewish misery, most Roman coins had a physical image inscribed on the coins. The Jews thought this was blasphemous, due to the 2nd of the 10 commandments. And using a coin with Caesar’s picture on it to pay for the mandatory 1/2 shekel Temple tax was detestable. 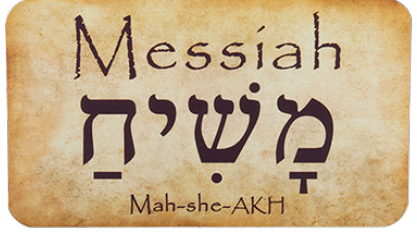 Messianic Expectations This was the life and times of the Jews into which Jesus was born. He began His ministry in this tense environment, and to local Jewish observers the miracles He performed made Him look, sound and act like He could be the prophesied Messiah. This is why Jesus was asked so many times, by a wide range of people, whether He was the Messiah, the King of the Jews. Was He the Messiah? Had He come to set up His Kingdom? 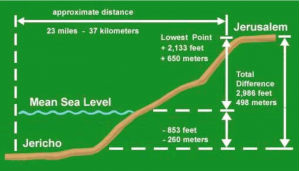 In 3 1/2 years Jesus criss-crossed the Holyland at a dizzying pace, drawing HUGE crowds everywhere He went. But His incredible miracles were not welcomed by everyone in the land. The Jewish ruling authorities were at their wits’ end. They feared He had grown so well known that if they allowed Him to continue, the populace would inaugurate Him as King and they would lose their power. 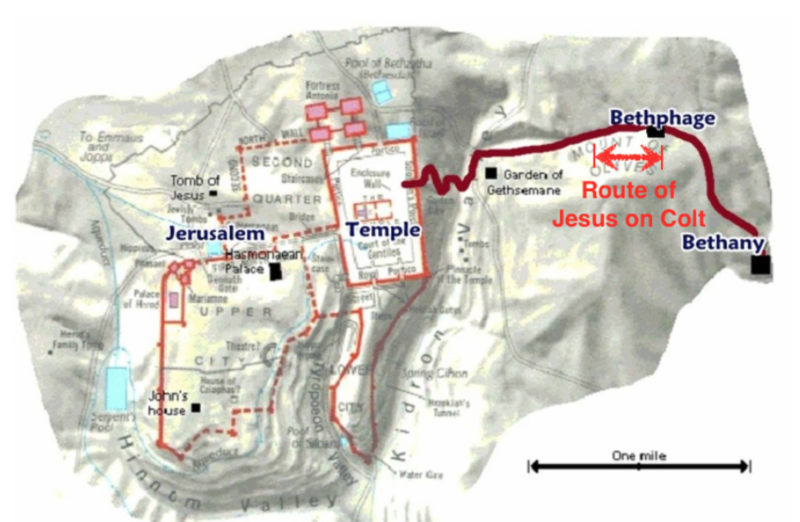 Trying to catch and kill Jesus So after 3 1/2 years, we find Jesus and His disciples walking up the road from Jericho to Jerusalem for the required attendance of the Passover celebration. But Jesus stopped short of Jerusalem by a mile or so to spend the night with Lazarus in Bethany. One week earlier Jesus had raised Lazarus back to life. It was His biggest miracle yet and was performed right under the noses of those who wished to kill Him. Lazarus had been dead for four days-the corpse was even beginning to rot and smell. So there was no doubt to anyone that he was quite dead. Therefore, when Jesus raised stinky Lazarus from the dead, everyone in town heard about it. Raising Lazurus from the dead was the talk of the town for the millions arriving for Passover. Jesus, knowing the purpose for which He had come to earth, was simply stoking the fires of the Pharisees. They had given the order that if anyone knew where He was, they were to report it so Jesus could be seized. After raising Lazarus from the dead, Jesus left for one last week, sort of a goodbye trip to friends and family, and performing his last miracles in Galilee and the Jordan Valley. 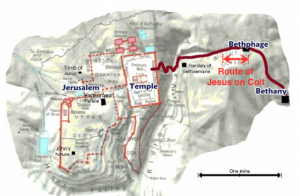 His last stop was in Jericho, where He healed two blind men and spent the night with Zaccheus, a rich tax-gatherer who got saved by believing Jesus was the Messiah. The next day Jesus departs Jericho on the road to Jerusalem, a day’s journey by foot, weaving 23 miles up a total elevation of 3,000 feet through the Judean Desert. Jesus arrived at Lazarus’ house just before dark on Friday evening as the whole city shut down at dusk for Shabbat. But when Shabbat was over, the crowds came to Lazarus’ house… to see both of them! This must have been some sight. If they hadn’t seen Jesus healing people in their hometown, they certainly had heard about Him. The crowd would have been in the thousands… which means thousands of coats and palm branches would have been spread over the road. Jesus made the profound statement that the crowd had to proclaim Him Messiah or the rocks would have to speak out that truth! This sets up the most incredible fulfillment of Bible prophecy to date. For 3 1/2 years Jesus had discouraged any talk about Him being the Messiah. In Caesarea-Philippi, when Peter made his famous “You are the Christ” statement, Jesus said yes, He was the Messiah, but not to tell anyone. But on this day, things had changed. On this day Jesus allowed, even encouraged, the multitudes to welcome Him as their Messiah. What was different? Why did Jesus say it was now OK to call Him Messiah and/or King? The Daniel 9:24-27 prophecy was being fulfilled right before the Pharisees’ eyes. Daniel gave the exact day the Messiah would arrive. This was that day! And, despite the prophecy in Daniel, the ruling Jewish hierarchy totally missed it! Instead of watching for and welcoming the Messiah, they instead crucified Him. But the main point is that Jesus was holding the Pharisees accountable for knowing, understanding and applying Bible prophecy. Interestingly, the Daniel 9 prophecy wasn’t even in the first five books of the Bible (the Torah) that were read completely through once a year on Shabbat (each Saturday). You had to dig a little to find this scriptural nugget…and think a lot to understand it. So we should learn a great lesson…Jesus believes Bible prophecy is important! He expects us to know, understand and apply latter-day prophecies! We’ll probably also have to dig a little. But it’s important to include it in our overall Biblical studies. Too many churches today are moving away from teaching prophecy, usually saying it’s too divisive. Well, Jesus sure thinks it’s important. And it broke His heart when the Jews missed His arrival. Therefore, we can safely and boldly say that Jesus wants us to know all about the Rapture and His Second Coming! And, as you’re probably fully aware, Jesus is coming again! And with some 28% of the Bible actually being prophetically oriented, most Christians should be doing more, not less, study of Bible prophecy! Most importantly, Bible prophecy is an incredible witnessing tool as it gives hope to a hurting world! Jesus is coming as a just and righteous King of the World. So, since we’re living in the last of the last days, it’s incumbent to us to have a working knowledge of what’s ahead. We’re to be ready to make a defense of what we believe. If you would like to print this article click here: Jesus Holds Us Accountable for Bible Prophecy!